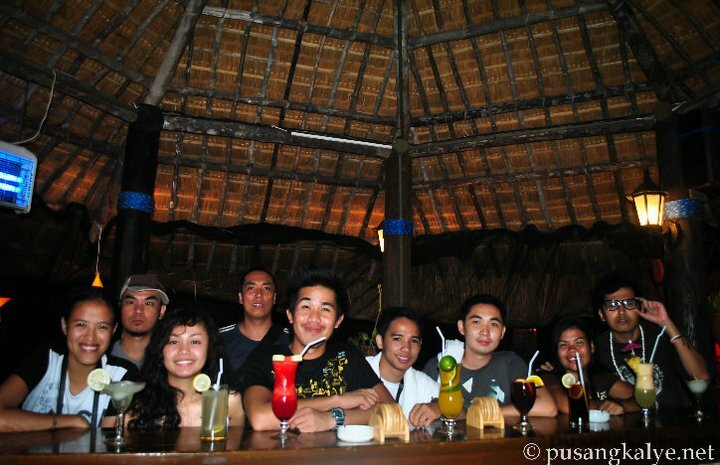 The highlight of our Pangasinan Trip is the last destination – Bolinao. During the 80’s and 90’s, Bolinao was famous due to its scenic beaches and the Bolinao Lighthouse, which i believe is the second tallest lighthouse in the Philippines. Pinoy movie producers used to shoot some scenes there. Just a few years ago, the last Richard Gutierrez – Angel Locsin movie The Promise was shot there. 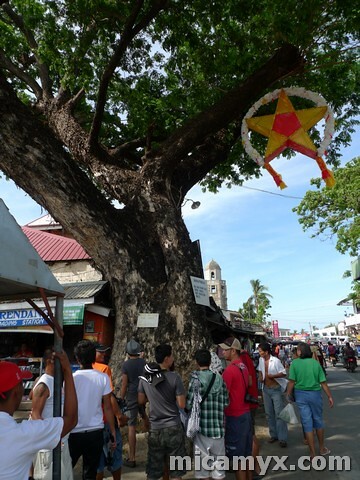 It is also one of the locations of Marian Rivera’s Dyesebel. It was a sunny morning when we woke up from our relaxing sleep at Islandia Hotel ( I slept for 9 hours!). 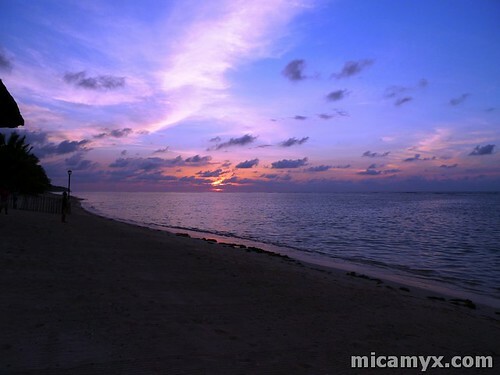 We packed our things in an instant in order to catch the early trip to Bolinao. We were tasked to go to St. James Catholic Church at 8AM. Mr. Nelson, the manager of Puerto del Sol was already waiting for us there together with our official tour guide for that morning. 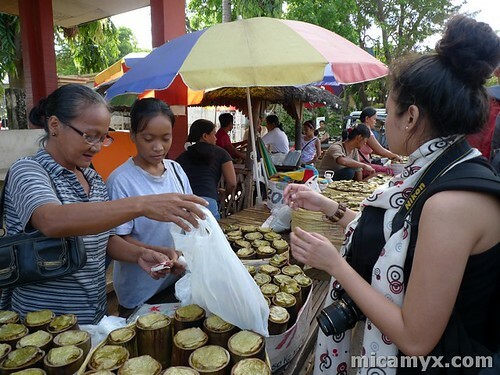 Before we went inside the Church, some of my co-bloggers were intrigued with the Binungey, which is a common delicacy in Pangasinan and i have tasted it a lot of times already. It’s only now that i learned about it’s name though haha 😛 Anton has an explanation about the origins of Binungey in his blog. 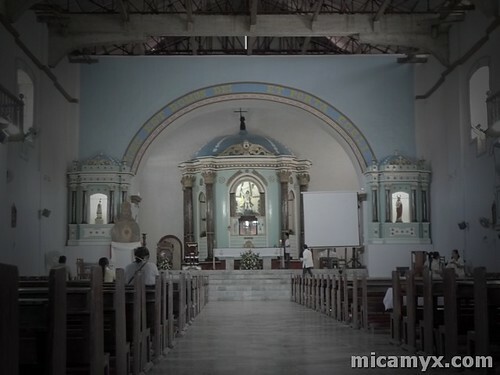 St. James Catholic Church is one of the oldest Churches in the Philippines. 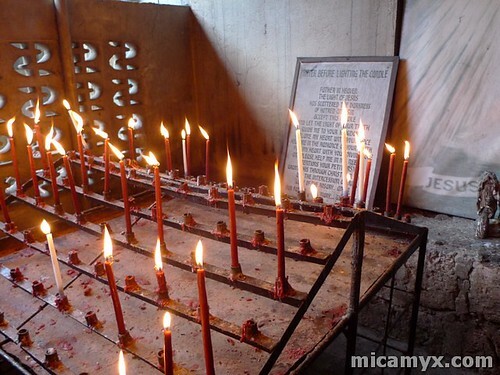 I’m not sure if i remember it right, but i think the first Catholic mass in Luzon was conducted there centuries ago. I rarely go to Church, but once i do, i make sure that i at least thank Him for all the blessings i’ve been receiving. I am not a fan of Saints and all the prophets (yeah, yeah God is Good), but i still believe in him. I lit a few candles as a sign of giving thanks and for guidance, good health and continuous blessings for me and my family. Afterwards, i took some photos and i noticed that some of the parts of the Church was maintained, but due to the earthquakes and typhoons (paboritong tambayan ng bagyo ang mahal kong probinsya), it was partly destroyed. Hindi naman masyadong gutom si Robbie, 'neh?! 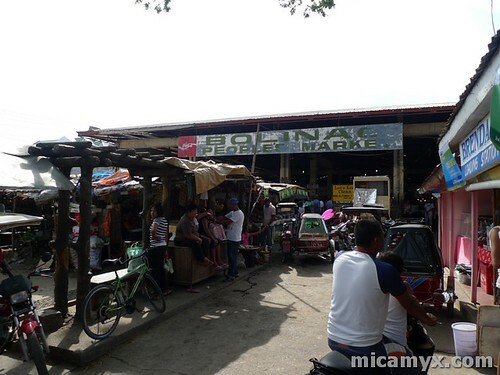 We then rode in Puerto del Sol’s Shuttle Service and went to Bolinao Falls. It is approximately 20 minutes away from the town proper. On our way there, our tour guide narrated four versions of the Legend of Bolinao. There’s a story about this couple named Boli and Anao, there is also a punishment-related story, a datu-related story and a sort of R18 version 😛 The fourth one will be narrated by Ada in one of my future P52W entry. The Bolinao Falls – When we went down the shuttle, we haven’t spotted a sight of the falls yet. I’ve been to the other falls seven years ago during our Environmental Science class in high school. 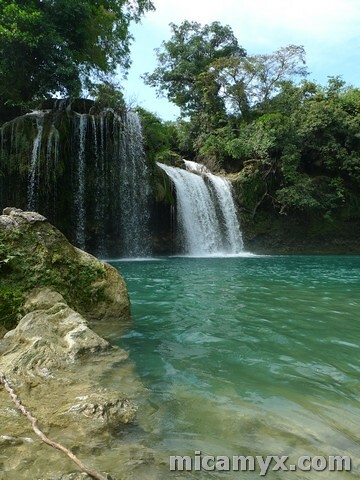 We were all mesmerized when we finally saw Bolinao Falls with our own eyes – ANG GANDA! Am I really in the Philippines? Pilipinas kay Ganda! Bolinao Falls kay linis! Some of the bloggers took pictures first and we were all waiting on who will go swim first. I Â really love waterfalls that’s why i went first by dipping my feet to the clear water. Â Later on, the rest took their clothes off (uhm, not really all except for one hahaha) and have a short swim at Bolinao Falls. We all looked like kids swimming in a waterfall for the first time. I thought i can only see such wonder if i go to Thailand LOL. After 30 minutes, we were asked to go back to the shuttle and go straight to Puerto del Sol. Can i confess something? Way back in December 2003, my family and i went to one of Bolinao’s first resort (i forgot the name) and Puerto del Sol was partly new. 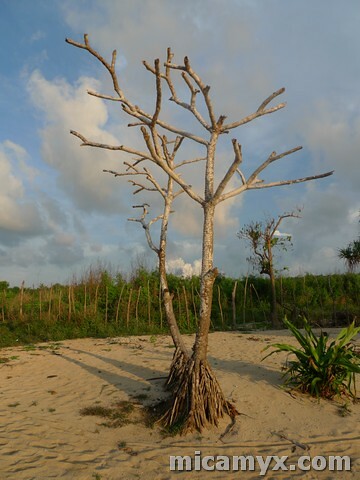 You really need to exert extra effort before you can reach the posh resort of Bolinao. I think you need to sign up for membership before you can actually go inside Puerto del Sol years ago. I’ve been curious on what is special about the place for the longest time. We were directed to our respective rooms. The girls stayed in one room. Ang ganda! Pang-Senyorita itey! 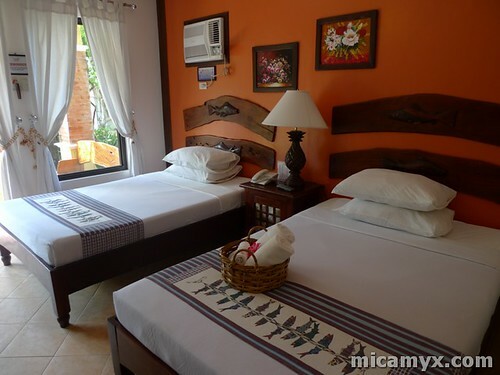 As expected, the girls started taking pictures with the pink flower and the inviting bed. So what did we have for our lunch? Hmmmmm…. Now let’s go straight to the afternoon tour! 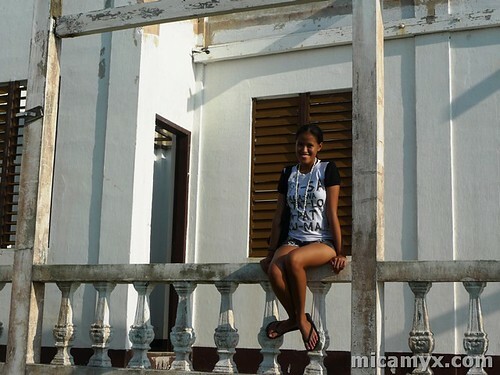 It was a hot, sunny sunday afternoon, but that didn’t stop the lakwatseros and lakwatseras in invading the Bolinao Lighthouse. The HQ beside it is already destroyed by the typhoon 🙁 Still, the framing of the HQ caused by the natural disaster looked pretty in some of our shots. The Bolinao Lighthouse is also a favorite of wedding photographers in Pangasinan. The place is quite romantic and serene. The next stop is the Patar White Beach. 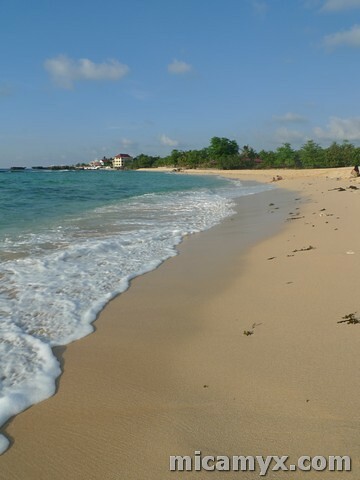 On my previous trips to Bolinao, i only managed to visit those beaches that are not as beautiful as the Patar White Beach. What i love about the place is that it is clean, the people are friendly and the waves, man. The waves! I think surfers will enjoy this spot! (although i haven’t seen one that afternoon). Now let’s visit the Rock Formations. Nasa Pangasinan ba talaga ako? 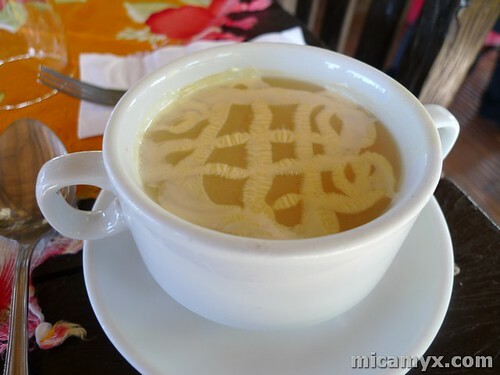 Nasa Batanes ‘ata ako! 😛 I simply fell in love with the place that’s why i took some photos 😀 The sunlight is so bright and the you can’t help but feel dramatic when you’re standing at the top of the big rock. I was picturing my imaginary leading man proposing to me in the spot. I nearly cried :'( Nah, it’s not about my imaginary lovelife. Iniwan ko kasi ‘yung tsinelas ko sa shuttle eh syet, matulis pala ‘yung mga bato! I’m lazy to get my slippers kaya tiis-tiis na lang. Tiis gandang page-emo FTW! And i love this pic. Random lang. I love trees! We went to the Jacuzzi to relax. Pampered much 😛 Some even went to the Swimming Pool after for an intimate group talk. The outdoor dinner is set! 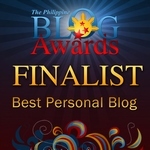 We finally tried the Bangus Cordon Bleu and i liked it! We ate Leche Flan for dessert. Sweet, eh? The sweetest part of the evening is the surprise of Sir Alfred, the F&B Manager of Puerto del Sol wherein he rendered a surprise Happy Birthday song for Josh! He’s a real multi-talented boss! Cocktails? Check! It’s no secret that almost everyone within our age range loves to drink from time to time. I am not a regular drinker, but i think the Cocktails by the pool at night really made us excited 😛 With nine assorted cocktail drinks, we exchanged drinks and stories. Some of us even went back to the Jacuzzi for another intimate talk (personal, i mean – just to make it clear LOL!). Getting to know the person behind a certain blog in a more personal level while relaxing on a jacuzzi just made my night. At midnight, Ada, Cai, Gael, Marky and Robbie went to the bus station to catch the first trip to Manila. I ended up sleeping in the room for four alone. 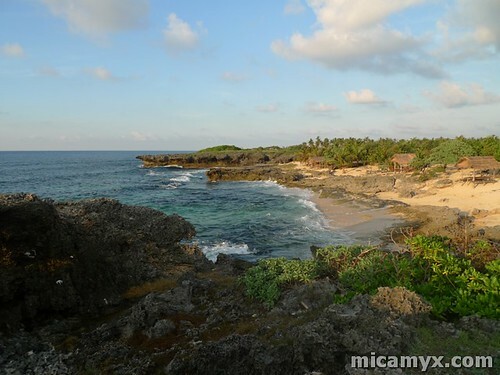 The Puerto del Sol Bolinao Experience is an unforgettable one. First, my high school wish of staying overnight came true. 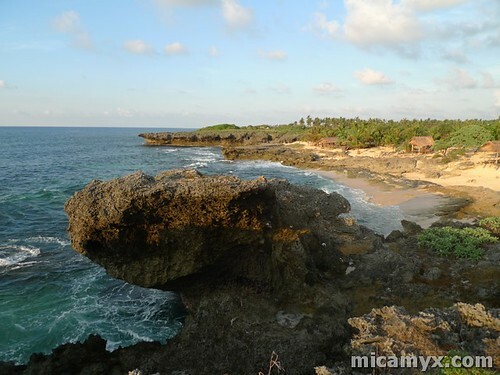 Second, i was able to track Bolinao’s hidden treasures (although not yet all – so many beautiful spots to explore soon!) and Lastly, the company. Ten individuals with different personalities that are not really close to each other on a trip six hours away from Manila? Awesome. Day 4 will be written on my other blog soon. Me, Josh, Darwin, Estan and Anton stayed ’till morning. 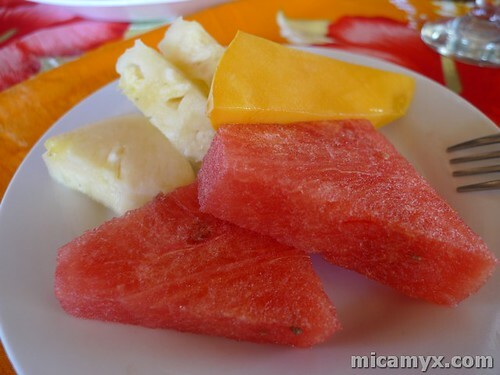 We were able to taste some of Puerto del Sol’s Breakfast Treats (Arroz Cubana FTW! ), met Mr. Eugene of the Cape Bolinao Dive Center (MUST.DIVE.NEXT .TIME), Pasta and Pizza for merienda at Tummy Treats (meeting Sir Ronnie and discussing about our vision for Bolinao was an interesting topic) and visiting the UP-MSI Bolinao, where we learned about the preservation of corals and appreciate marine life. 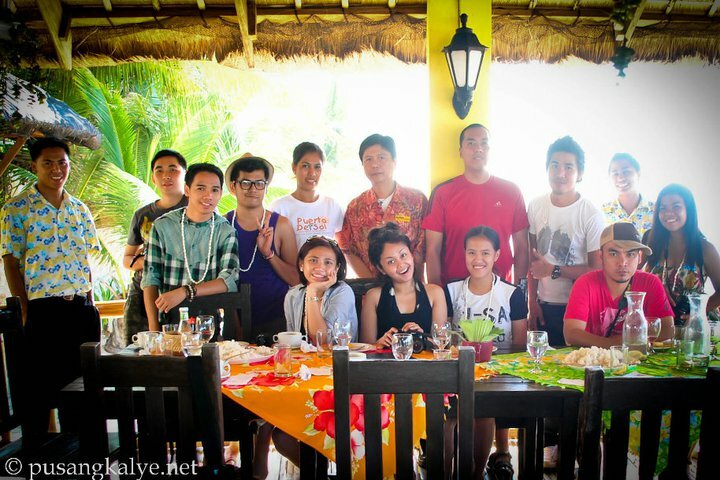 Let’s go lakwatsa again soon! Hahaha! Nakakatuwa yung shot kay Robbie! Nice nice shots!!! 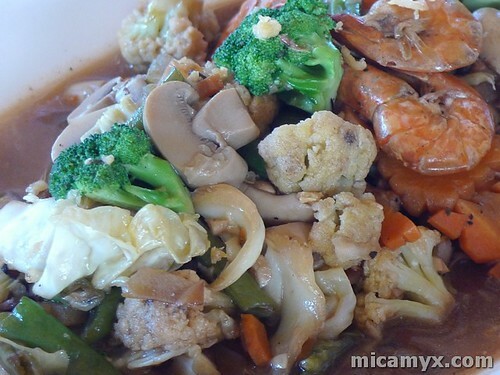 love the pic and the narrative Mica…nagutom ako ulet sa pictures ng food..
musta na kayo? 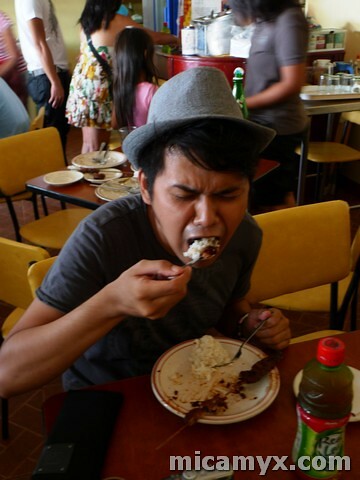 Cai okay ka na?….Josh Happy Birthday ulet, si Cute Ada asan na? 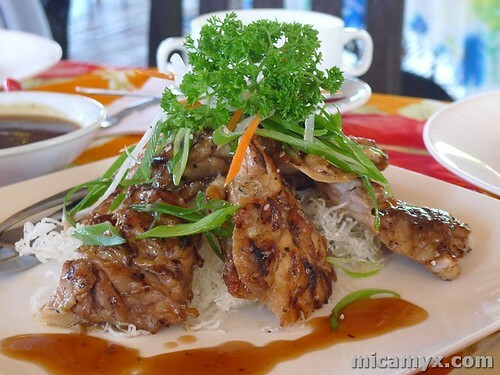 oh my… the food and the view is nice!!! anjan rin pala si Josh and belated Happy Birthday! Nakakaloka naman yung picture ko na LUMALAMON na parang walang bukassssss!!!!! Hahahaha. I agree. This is the best day out of the 3. Super chillax lang. Hihihi.. Haymizz evuribadi! 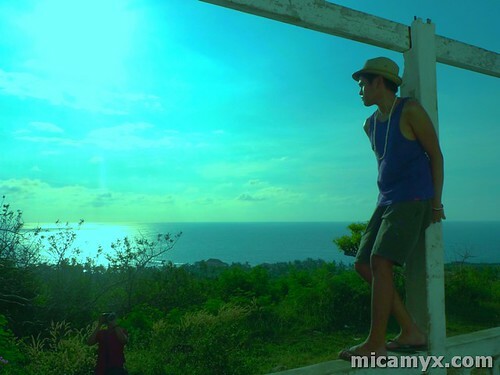 ang galing naman nung pic ni Robbie sa lighthouse ruin facing the sea. parang emo lang. nice mica. misyu all. Agree din ako, our third day is the most exciting and happiest..
@Ed, sabi ko na sayo eh, dapat sumama ka..
Hi we are from BolinaoBusinessOnline we are a group of people that want to help bolinao to develop huge web presence and tourism. 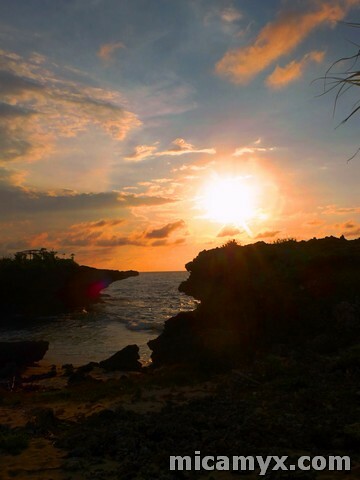 We’re glad that many bloggers appreciate the natural beauty and the culture of bolinao. Hope you can visit us more often.